At their New York Unpacked event at the Lincoln Centre, Samsung has today announced two smart phones, predictably the Note 5 but the second phone, the Galaxy S6 edge+ took a lot of the limelight based on the exciting design. The Galaxy S6 edge+ is a larger version of the Galaxy S6 Edge announced at Mobile World Congress. Samsung said they have recevied feedback from customers that they loved the design, but clamoured for a larger screen and on that Samsung have delivered with a 5.7” QuadHD 2560×1440 resolution display. It’s interesting to note that the Edge display is now counted in the diagonal resolution with no additional size to take that curve into account. The design of the Galaxy S6 edge+ is a refinement on the original design, which Samsung describe as ‘elegant, understated and finely crafted’ with a more subtle metal bezel. The phone looks beautiful but it also packs in some top end hardware with the Exynos 7420 processor and 4GB of RAM, the largest amount of RAM Samsung has included in any phone to date. The camera has been specifically tuned to give a best in class experience. The 16MP sensor includes a f/1.9 aperture and Optical Image Stabilisation that includes the ability to quick launch by double clicking the home button. It also includes real-time HDR and a range of brand new filters. Power is also a big note, with a 3,000mAh battery included in the phone. Samsung has also brought their multi-standard Qi/PMA wireless charging tech to the S6 edge+ and has bolstered it with Fast Charge allowing you to charge wirelessly to full in just 2 hours. While specific LTE band information hasn’t been released, that will come with local launches, the S6 edge+ will support the current fastest 4G LTE networks. as well as support for LTE Cat 9 – keeping up with new technology before they even launch. 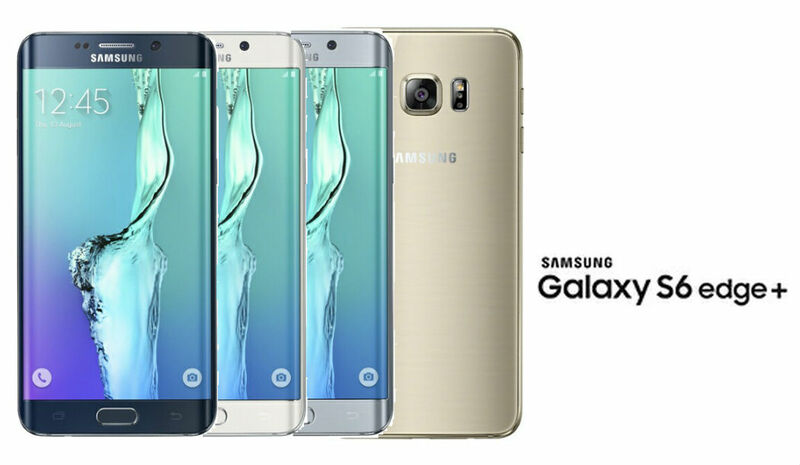 The Galaxy S6 edge+ will include the usual colour options: White Pearl, Black Sapphire and Gold Platinum though availability will differ by market. The Galaxy S6 edge+ though will get one more colour option with Samsung adding Silver Titanium to the mix. Samsung edge+ will come with Android 5.1 out of the box, though we’ll have to check in regarding the Stagefright vulnerability, which we’re sure that someone will check imminently. While the utility of the Edge design has been questioned since the release of the S6 Edge, the S6 edge+ will deliver new function which takes advantage of the curved edge called Apps Edge. The Apps Edge feature is a user customisable shortcut system which allows you to swipe the edge to get to your fav apps and builds on the ‘People Edge’ function to continue to allow quick contact to your favourite contacts with both People and Apps Edge available from any screen (not just the home screen) – letting you access maps, contacts, games with ease. Samsung is also launching Live Video broadcast to Youtube with the S6 edge+, allowing you to live stream to the largest video service in the world. Samsung also announced SideSync for both the Note 5 and the S6 edge+ to allow you to transfer data and files through both wired and wireless connection quickly. The SIdeSync feature will be available across ‘all platforms and operating systems’. 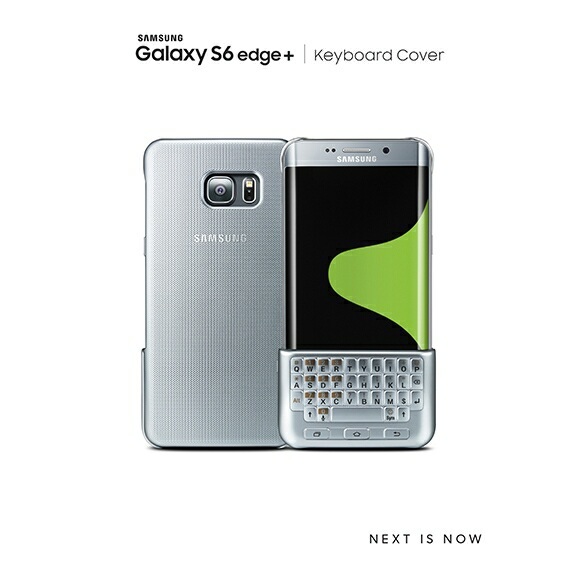 Samsung as usual has announced a variety of accessories for the Galaxy S6 edge+, which yes includes the slightly weird looking keyboard accessory that was leaked by Evan Blass previously. As usual there will also be a range of flip covers including the S Window, Wallet covers and standard Flip covers, and a range of variously coloured protective shells with more information on markets coming closer to launch. Samsung has only announced availability in the US and Canada with both the S6 edge+ and the Note 5 available in those markets from August 21st. The Galaxy S6 edge+ delivers a stunning viewing experience and optimal multimedia consumption with its dual edge screen, while the newly redesigned Note 5 is an easy-to-use productivity device for the ultimate multitasker. Both devices represent Samsung’s ongoing commitment to developing stylish smartphones that Australians will love. We look forward to sharing more information closer to the launch date. I love that there is enough demand for phablets now that Samsung’s most premium phone is a very large phablet, and that by their words customers are clamoring for it over the 5.2″ version. I think that speaks volumes, despite the very vocal group who deny. It seems to me these devices are now just phones, and that sub 5″ phones are now mostly a budget concession. What’s the difference between this and the Note 5? The processor, RAM and screen size appear to be the same. Just the appearance? I must admit that I’m not a fan of the curved edge on the Edge, but I like the look of the Note. A client of mine recently gave me two pens which were promoting his business, and they have a rubber tip on one end for using on a mobile. I began using it, and I love it. It saves my thumbs from getting tired when browsing and it has a great soft, yet grippy feel when touching the screen. I don’t use it for typing though. Having a bigger phone with a Stylus might actually make sense.